Kalkarai pinnacle is famous climbing patch among travelers, often people visits the place. This place is not suggested for climbing without experts or having knowledge of climbing/rappelling equipment. approximately 140-150 height and climb to 90% angle brings the perfect adventure experience and breathtaking view of the valley. 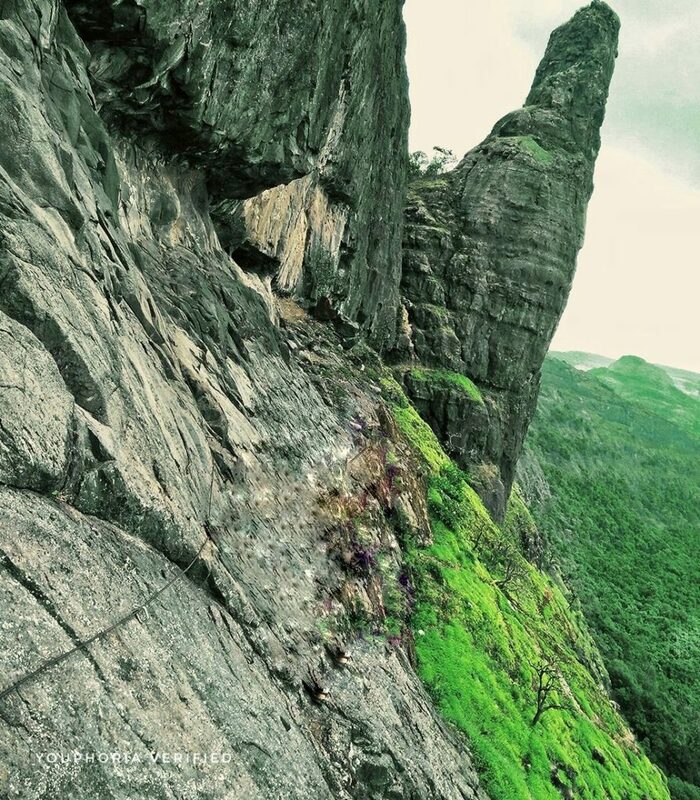 Kalkarai pinnacle is situated to the left of mighty Dhak Bahiri fort. The pair of Dhak fort & Bahiri cave is situated in the Karjat region of Raigad district in Maharashtra. This name is derived from its Fort Dhak & Bahiri (Bhairavnath) cave. 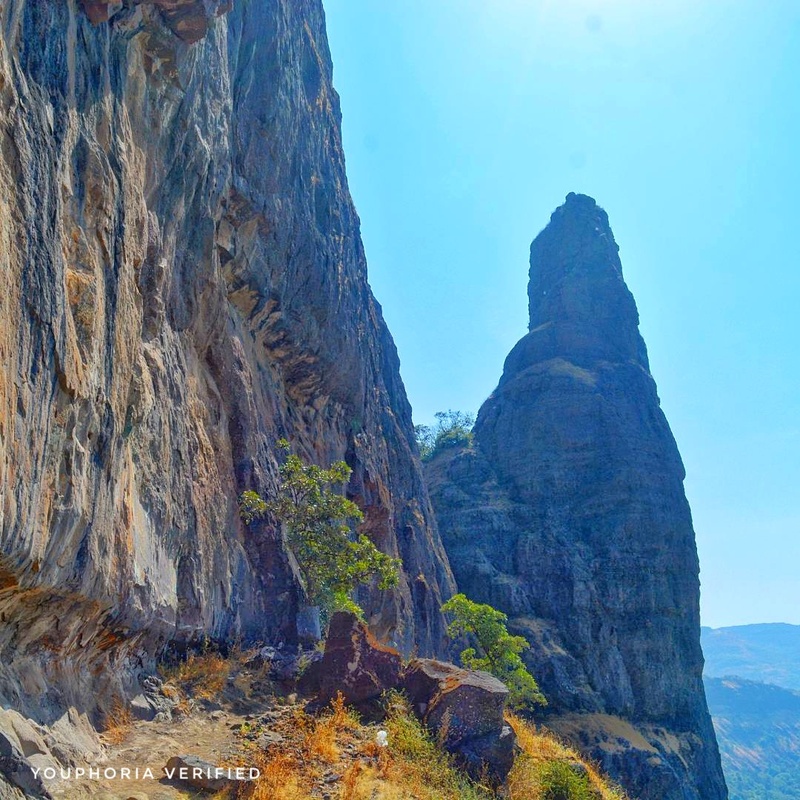 Its one of the most difficult & thrilling trek in Sahyadri region. It requires basic climbing & abseiling techniques to reach the summit. Dhak fort save several rock patches to climb through its very thrilling experience in this region. Some of locals and adventure institutes have done the basic bouldering and have put the lashings cable and wire ropes for tourist to climb on. We are sure that everyone will fall in love with the location and the weather..